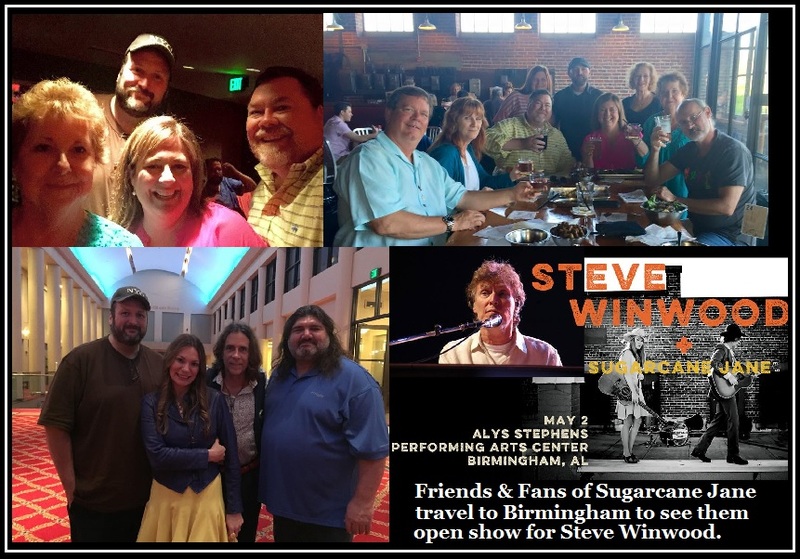 The last time I had the privilege of seeing Steve Winwood, one of the musicians to his side was none other than Anthony Crawford (now of Sugarcane Jane; and Willie Sugarcapps). It is crazy how time flies – that was during Winwood’s “Roll With It” tour of 1988-89. (I had also previously seen Crawford on stage with Neil Young’s band). Steve Winwood is a longtime favorite of mine (though I have seen him a number of times, it has been years.) 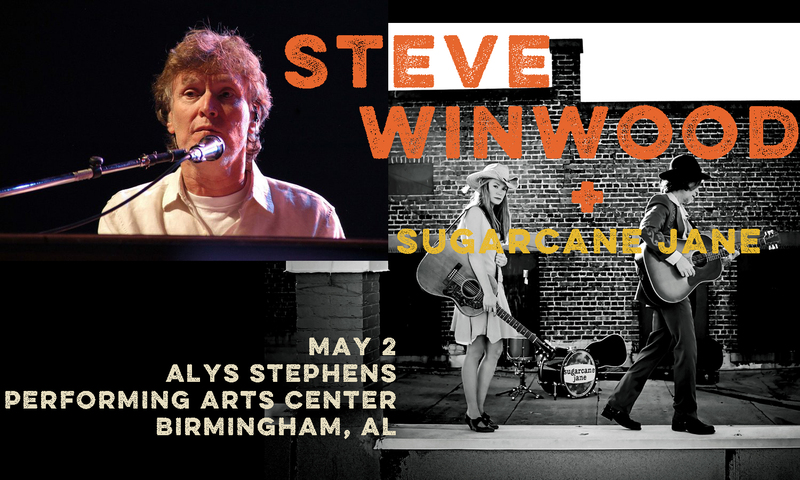 On the night of Saturday, May 2nd, we were excited to see our friends, Anthony and Savana Crawford of Sugarcane Jane, take to the stage to open for Winwood’s Birmingham show at Alys Robinson Stephens Performing Arts Center. 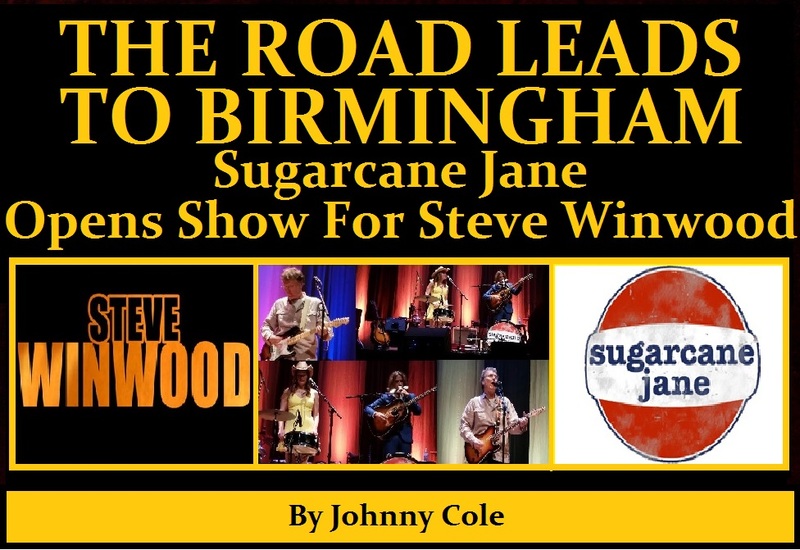 The last several weeks, friends and loyal Sugarcane Jane fans have been anxiously awaiting the upcoming show in Birmingham. Good friend, Bobby Rayborn, and I left the Gulf Coast the afternoon of the show for Birmingham, AL. Once we arrived, we met many friends who, too, made the journey up. Upon finding our seats, to my amusement, the two seats beside me were good friends from home and devoted music fans, Glenda Campbell and Phyllis Duncan; directly behind were friends, Jeff and Suzanne Zimmer; and even Savana’s parents sat across the aisle from us. Everyone was ready to enjoy this special night of music. Sugarcane Jane’s set was the “100% Organic Music at its Finest”, their fans have come to love. Mixed with humor, stories of home life and genuine good music, Sugarcane Jane shined in some ways like I’ve never seen them before – a true testiment of how they can rise to any occasion. 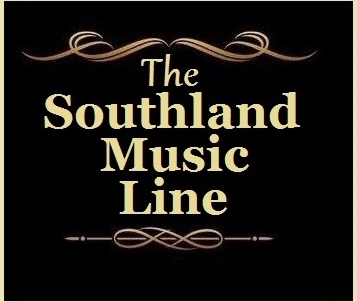 They performed several of their songs from their latest album “Dirt Road’s End” and others, including a song Anthony co-wrote with Winwood’s wife. Prior to the show, a man in attendance made a negative comment hoping the opening act wouldn’t be on stage long….which drew a quick response from Bobby Rayborn, who asked him if he knew anything about Sugarcane Jane. The man’s reply, “well, I saw a little on You Tube” (which means “No”). Bobby then provided a lot for the guy to think about when he highlighted Sugarcane Jane’s impressive resume. After the show, the once negative man turned and said “I stand corrected”. Sugarcane Jane delivered on all levels which merited a standing ovation from the packed house. Steve Winwood’s performance was nearly 90% vintage relying heavily on the music of Rock and Roll Hall of Fame inductee and his one time band, Traffic; also Blind Faith; and the Spencer Davis Group. Only his #1 hit from 1986, “Higher Love”, was performed from his popular solo success of the 1980’s. Winwood and his band also performed the 2008 single, “Dirty City”. Fans of Traffic and the older material were on cloud nine; whereas fans looking forward to a solo greatest hits show witnessed something a bit different, but none were complaining. The entire show met our hopes and expectations. Following the show several friends met at the Sugarcane Jane merchandise table for great conversation, photos with Anthony and Savana, and to discuss the night. 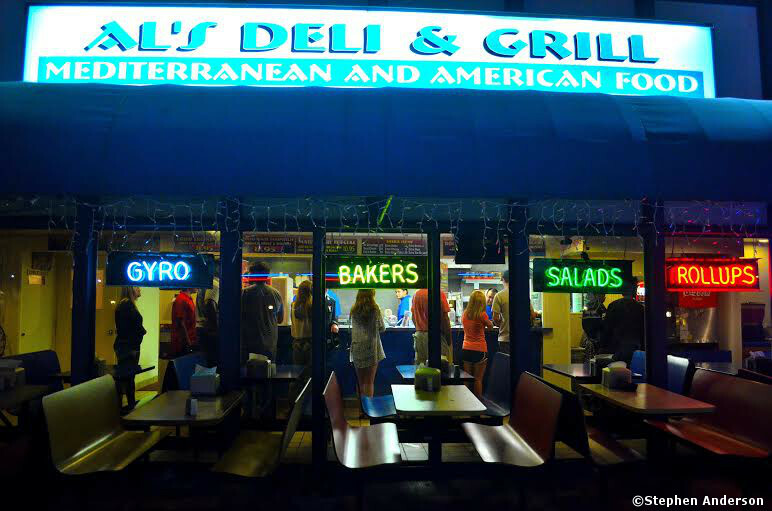 After a late night stop at Birmingham’s Al’s Deli & Grill (a popular after show stop when in Birmingham), Bobby and I made the return trip home from yet another show. Like Him at Facebook: Click Here! Follow Him On Twitter – Click Here! Check Him out on You Tube: Click Here! Tagged Aly Robinson Stephens Performing Arts Center, Birmingham Alabama, Blind Faith, Dirt's Roads End, Roll With It, Spencer Davis Group, Traffic.